A seder is a wonderful opportunity for families to share the incredible experience of the exodus from Egypt. But keeping family members and guests who range in age from toddler to great-grandparent interested as they sit at the same table for hours of learning and listening can be a challenge. Here are some ideas to help engage seder participants of all ages in celebrating the festival of freedom. 1. Prepare questions and challenges in advance. Contact each guest prior to the seder to invite them to write a question on an index card and bring it with them to the seder. Place all the cards on the table and randomly select cards throughout the seder. You may give a child the “job” of picking the card and of determining who gives the first answer, the second, and so on. 2. Discuss the seder with your guests before Seder Night. Knowing what will happen and being aware of the order of the seder can make the time move more smoothly. Read books to children beforehand. Send guests a list of the steps of the seder and ask if there is a particular component they would be interested in leading. 3. Create “action words.” Passively listening to the seder can be challenging. 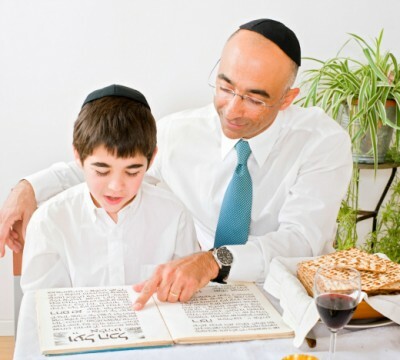 Create active roles by pairing each child with an adult and having them arrange, prior to the start of seder, a secret “action word code.” This should be a word that happens fairly often during the seder (for example, matzah or Mitzrayim). They should agree on an action: touching your nose, clapping your hands. Each time the word is said, one or both members of the pair should do the action. Other seder guests try to guess what their action word is. 4. Tap into the drama. Have people read various segments of the seder in different voices. For example, someone should read as Pharoah in a deep, angry voice. Someone should read as Moses in the calm voice of leadership. Someone could read as a child getting ready to leave Egypt in a little child’s voice. Alternately, have people choose different accents. 5. Look for the mysteries. The seder naturally prompts questions, but create even more by giving the old and young riddles to look out for and mysteries to solve. For example, how many times does Moses’s name appear? How many different rabbis are mentioned in the Haggadah? How many animals make an appearance? 6. Start new traditions. Invite pairs of older and younger seder participants to create a new “tradition” for your seder. Perhaps everyone dances around the table during the song Dayeinu, or the Mah Nishtanah is sung in two different languages, or everyone shares a time they felt free with the person to their right during the Maggid portion. 8. Expand “Where in the World is the Afikomen?” Add to the typical afikoman (leftover matzah) hunt by inviting young and old to hide other seder table items: a napkin, a fork, a Haggadah. 9. End with a bang. Spice up the traditional song of Chad Gadya by adding sound effects for each player in the story. The goat, cat and other sounds are fairly obvious, but invite seder participants to suggest sounds for the aspects that aren’t: the fire, the butcher and so on. However you decide to enrich your seder, consider that it is the connection with our tradition and with our families that make Passover meaningful. Building shared moments adds to the wonder of the night, the only night in the Jewish calendar when we are all, young and old, told to dream, to imagine, to feel as if we, ourselves, experienced the miraculous redemption from slavery to freedom. If our seder tables allow everyone to share this transformative phenomenon, we will satisfy the central mitzvah of the seder and give a gift of meaning to all. 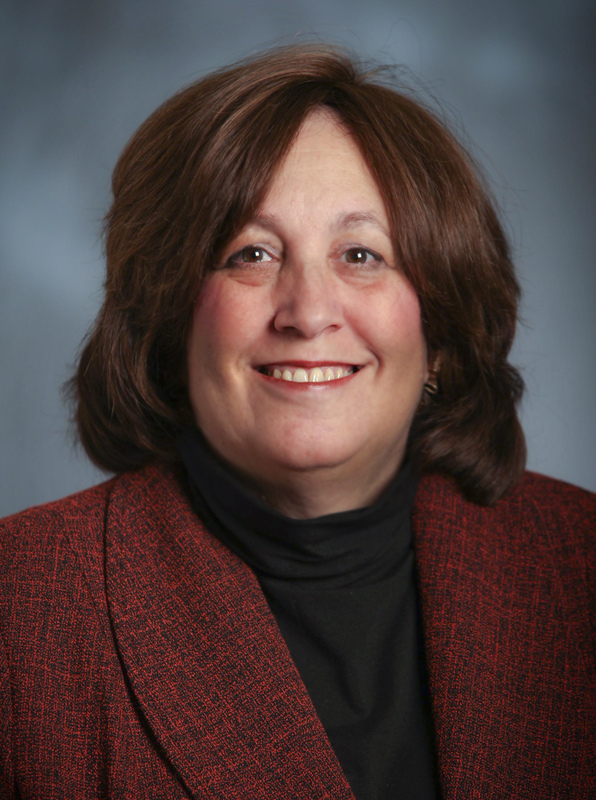 Dr. Rona Milch Novick is the dean of the Azrieli Graduate School of Jewish Education and Administration. To hear more about her tips for Seder Night, tune in to “That’s Life” with Miriam Wallach this Thursday at 10:30 a.m.